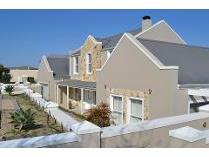 New release elegant lifestyle home for large family in a quiet cul de sac in high demand hemel and aarde estate. The impressive entrance leads to large open plan living and dining area that flow to patio with built-in barbeque and awesome sea views. Modern kitchen with gas stove and separate scullery as well as walk in pantry. Double volume ceilings. This home offers 4 bedrooms, the very generous main bedroom has a walk-in cupboard, space for two comfortable chairs, modern on suite full bathroom fitted with bidet, 3 spacious guestrooms all on suite and a separate study to work from home as well as guest toilet. Further features to the property are 3 garages, enough parking for visitors, large storeroom and in immaculate condition. This home has everything and more and the finer details needs to be seen to be believed. Life at hemel & aarde estate would be a holistic approach to your general health. State of the art security including fingerprint recognition access control will set your mind at resting terms of personal safety while the onsite country club with a pool, kiddies’ pools, tennis and squash courts and a fully equipped gym should keep your body trim. There is also a kids’ playground. The surroundings, the result of meticulous landscaping with abundant fynbos and greenery, elaborate water features and fully grown tree-lined avenues, are sure to calm even the most frazzled soul. Sole mandate - live in this exceptional lifestyle house in a secure estate. This modern home offers open plan reception areas perfect for the family who love to entertain. All three open plan spacious reception areas flow to the garden. Modern kitchen and separate scullery. Ground level consists of two double size guestrooms both on suite and flow by way of sliding door to garden. Upstairs consists of pyjama lounge and study with double master bedroom and luxury bathroom. North facing sunny and light home with low maintenance garden and private entertainment area in the garden to enjoy lazy days and social gatherings. Double automated garage with direct access. There are some great features which make this property worth viewing. 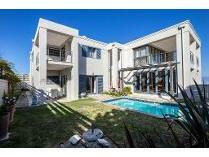 If you want a lifestyle of luxury set in beautiful surrounds then you need to view this home. Sole mandate- situated high in the estate this home has breathtaking sea and mountain views. Redefining the concept of indoor/outdoor living this 690m home offers the finest in contemporary living. Large open plan living/ entertainment area with built-in braai and handy gas stove for barbeque entertaining leading to sparkling private pool. Spacious farmstyle kitchen with lots of cupboards. Tv room with cosy fireplace and another separate lounge. 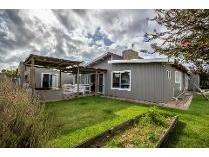 All have views and very north west facing for lots of sun and natural light. Furthermore on this level a large study with separate access to work from home. Guest toilet, guest bedroom en suite with sliding doors to patio. 2nd level hosts with guestrooms both with own patios and dual full bathroom. Lots of bic. Master bedroom boasts with the best advantages of size with pjama lounge dressing room and large main en suite. Also leads to mountain balcony on north side as well as large balcony with jacuzzi to enjoy large sunsets and relaxing times. Coffee station so all the luxury of a 5 star hotel. Basement floor has large laundry leading to courtyard, another guestroom en suite. 4 garages and a storeroom. This home invites all who are in need of luxury and space. Life at hemel & aarde estate would be a holistic approach to your general health. State of the art security including fingerprint recognition access control will set your mind at resting terms of personal safety while the onsite country club with a pool, kiddies’ pools, tennis and squash courts and a fully equipped gym should keep your body trim. There is also a kids’ playground. The surroundings, the result of meticulous landscaping with abundant fynbos and greenery, elaborate water features and fully grown tree-lined avenues, are sure to calm even the most frazzled soul. This double storey home offers the potential for a guest house! has a private modern cottage as a bonus! in total there are 7 bedrooms and 4 bathrooms of which 3 bathrooms has underfloor heating + guest toilet. Open plan kitchen with separate scullery onto dining room and living area. Lovely sun room that overlooks the pool area and magnificent sea views. Also consist of a study, double garage and storeroom. A must to see! chanteclair is nestled on the slopes of the onrust mountain and is a highly desirable upmarket area. Secluded from the noisy, hustle and bustle of town life, yet a only a few minutes’ drive from all amenities. 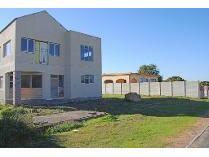 Close to a medical centre, two shopping centres and a school that are all within 5 kilometres. 1 hours’ drive from cape town international airport. There is a pretty even mix of holiday homes, permanent residences and lock up and go security complexes. Chanteclair is a sought after area overlooking the popular onrus beach. Properties here are likely to have sea and mountain views. Chanteclair is a protea and bird paradise with mountain paths to the top of the mountain. New exclusive sole mandate. And now for something completely different! this newly renovated quirky rambling lifestyle home with flatlet accommodates the whole family. Part of an original school house, the owners have maintained the traditional look, whilst completely renovating and upgrading the building to a high standard of construction and finishes. Get away from the "maddening crowd" and work from home. Study plus huge workshop. Let the kids and dogs run wild in this enormous safe, secure property. Close the gate at the end of the day relax on your entertainment deck, take a dip in the plunge pool and enjoy the privacy, peace and quiet of country living - yet just 10 minutes from hermanus. This eco-sensitive country village is cape nature at its best. 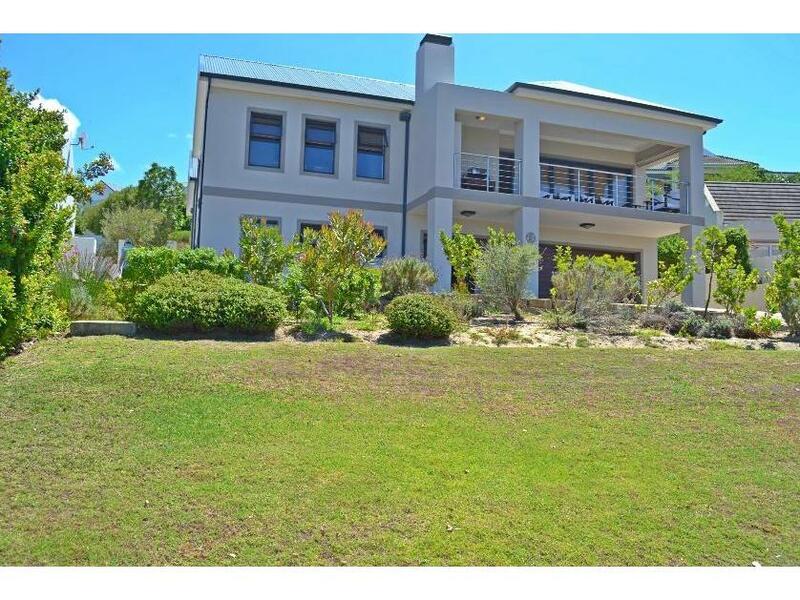 Surrounded by magnificent mountains and is situated on the banks of the bot river lagoon; opposite arabella 5-star golf course estate; adjacent to benguela wine estate; this property is offered at an affordable price for buyers, who are on a budget. Everything is well built and just waiting for a new owner, who would be willing to refresh and upgrade to turn this into their perfect home. 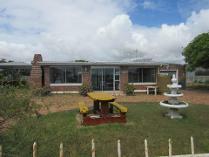 Spacious open pan living with large kitchen and a lovely sunroom. Master bedroom & second large bedroom both share an enormous bathroom (shower; toilet; hand basin; washing machine plus ample space to fit a bath). Separate 1 bedroom flat & en-suite has a kitchenette & small dining area. Large single garage with direct access to the main house; double car port and a mature attractive garden and lovely country views - what an opportunity! 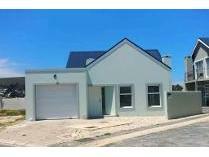 Sole mandate - 3 bedrooms, 2 bathrooms and indoor braai. Stunning sea and mountain views. Property is fenced on three sides. Looking for that special person to complete this project and turn this property into an exceptional home. 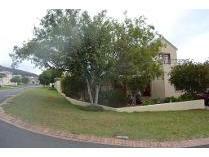 Close to curro private school as well as the new whale coast mall. Sandbaai, a relaxed sea side village close to hermanus, is situated about 120 km from cape town, placing it within easy reach for a weekend break away. It lies at the entrance to the hemel-en-aarde valley and provides easy access to the local wine route, fine restaurants, galleries, studios, shops, the hermanuspietersfontein saturday food market. Situated on a corner stand i proudly present this new release. Neat and immaculate presented property that consists of 3 bedrooms, 3 bathrooms all on suite. On ground floor there is an open plan living area with granite kitchen and separate scullery. Tv room that leads to wrap around verandah with mountain views. Separate dining room to wine and dine. Two bedrooms both en- suite. Upstairs has another bedroom on suite which leads to balcony with views. Incredible value at this price. Nowhere you will find a more suitable house at this good price in the estate. Life at hemel & aarde estate would be a holistic approach to your general health. State of the art security including fingerprint recognition access control will set your mind at resting terms of personal safety while the onsite country club with a pool, kiddies’ pools, tennis and squash courts and a fully equipped gym should keep your body trim. There is also a kids’ playground. The surroundings, the result of meticulous landscaping with abundant fynbos and greenery, elaborate water features and fully grown tree-lined avenues, are sure to calm even the most frazzled soul. This brand new home is nearing completion. All single level, low maintenance and a very good buy. Lovely flow and modern finishes. Exposed trusses in lounge/ dining area with sliding doors to outside braai patio. Kitchen has ample cupboards. Main bedroom with en-suite bathrooms. 2 more bedrooms sharing a bathroom. Single automated garage with direct access into the home and plumbed for your laundry equipment. This home is a must view! sundew villas is a gated estate with a swimming pool and kiddies play area very close to the curro school and also the new whale coast mall. 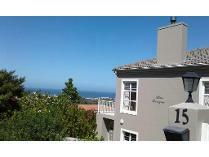 Sandbaai is situated a mere 5km from centre town of hermanus.